At $80, the Playbulb Color is the least-expensive speaker/light combo in our roundup. Unfortunately, it’s by far the worst-sounding speaker of the bunch. The sound is thin and tinny and has hardly any bass oomph. It sounds like a cheap portable speaker. Ironically, that poor sound is paired with the light bulb that offers the most potential for enjoyment. In concert with the Playbulb X app, the Playbulb can produce different colors, flash at variable speeds (fast enough for a strobe effect), pulse, cycle through all the colors, or flicker like a candle. Those capabilities alone give the Playbulb top spot in the “most fun at parties” category. 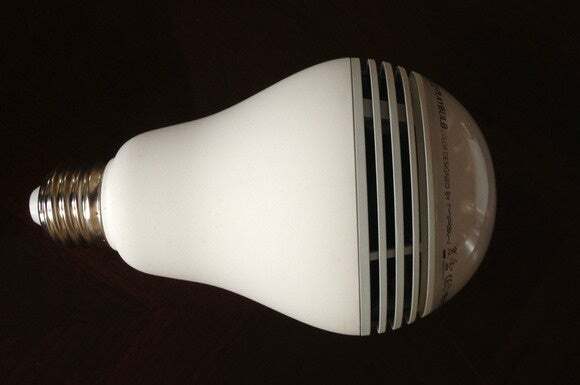 It is, however, the weakest bulb in terms of light output, at only 200 lumens. The Playbulb X app also has one music feature the others don’t, at least on iOS: you can access your Apple Music playlists through it. You can’t see the individual songs or change their order, plus of course you can stream your playlists from the native Music app; but for playing a specific party playlist, it’s nice to be able to do it from within the app. 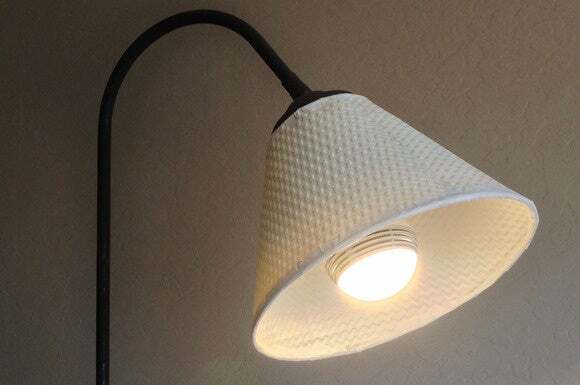 Unlike some speaker/lights, you can install MiPow's Playbulb in most any lamp. Finally, Playbulb X also gives you a Scene option, which takes a photo. Why would you want to take a photo from within your speaker/light app? Again, it makes sense if you consider the Playbulb as a party accessory. All this nice light bulb functionality makes the poor sound quality especially disappointing. Rather than spending the money for a Playbulb Color, you’d be better off getting a Playbulb Rainbow instead. It offers all the light bulb functionality for just $40. Buy a decent mini speaker, such as the JBL Clip, and hang it from your lamp. You’ll be $5 ahead and get better audio. The Playbulb color marries a fun party-light accessory to an unfortunately poor-quality speaker: it’ll light a party, but it won’t get it moving.